A horrendous cat grows in affection for Luna. The cat's owner is believed to hold one of the Rainbow Crystals, but it is later discovered that the cat is the last carrier. Umino, after being swayed by Usagi, decides to try to impress Naru by dressing and acting like Tuxedo Mask. Luna is told to reveal that she and the princess they are searching for are from the moon. 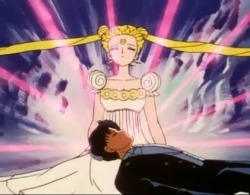 The Negaverse tries to capture the Senshi and Tuxedo Mask by sending a phony Sailor Moon to lure him. They are soon thwarted by Sailor Venus and her guardian cat Artemis. 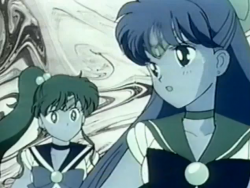 Minako and the Senshi investigate the Starlight Tower to find Usagi. There they discover that Usagi is in fact the Moon Princess, Mamoru is Tuxedo Mask and the Rainbow Crystals form into the Silver Crystal. 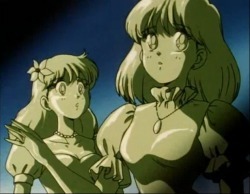 The Senshi and Mamoru learn of their past lives 1000 years ago. They learn Princess Serenity was destined with Prince Endymion, but the prince met an unruly fate trying to battle the Negaverse. 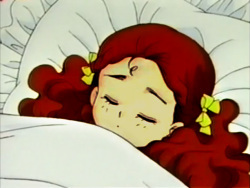 She and the other planetary princesses were sent to Earth to protect them, losing their memories of being Sailor Senshi or ruling their planets. 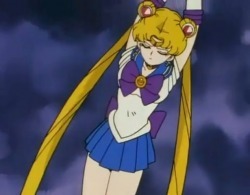 Usagi goes into a deep depression after losing Mamoru. Minako tries to cheer her up by treating her to a hairstyling makeover. 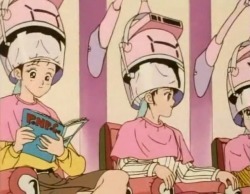 She takes her to a newly-opened hair salon that turns out to be another ploy to discover Sailor Moon's identity. 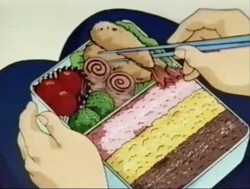 After Minako is mistaken to be Sailor Moon, Tuxedo Mask is revealed to have been brainwashed. Usagi attempts to learn to be more like a princess by attending an etiquette school, which is taken over for yet another Negaverse scheme. The Senshi investigate, but the clumsiest girls, Minako, Rei and Usagi, are narrowed down to find the real Sailor Moon. Yuichiro offers to allow the Senshi to stay in his parents lodge at a ski resort while they train to compete in a princess contest. 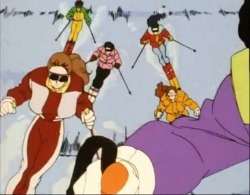 They are caved into a steep, snowy spot when they participate in a ski-off as part of the contest.